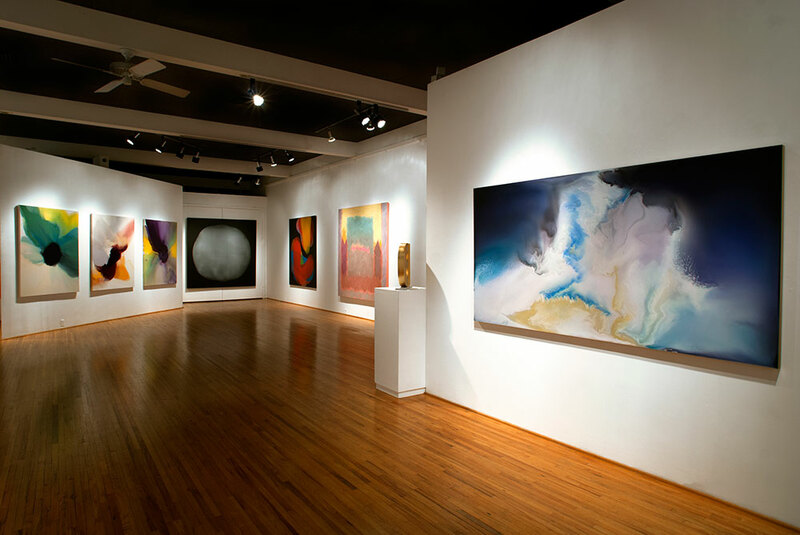 Suzan Woodruff’s most recent body of work involving multiple and various painting series she has worked on since the Burning Woman Project is created through a self-invented and designed “Gravity easel,” which though gravitational forces allows control of water and paint, creates echo’s and spectacles of nature, fractals and waves, and natural phenomena. A. Moret, in the winter 13/14 issue of Art Ltd., wrote ” The “echo presented in these works is visceral, devastating and beautiful.” Woodruff’s work has been exhibited in galleries and museums in the US, Europe and Asia. She is a recipient of an NEA/Arizona grant and residencies from the Sanskriti Center for the Arts, Virginia Center for the Creative Arts and 18th Street Arts Center. Woodruff has been reviewed in Art Ltd., Budapest Sun, ArtPulse, Los Angeles Times, LA Weekly and Delhi Today. Woodruff was born in Phoenix, AZ. From an early age, she began exploring the desert, immersing herself in endless spaces and spectacular natural vistas that would later become essential to her art. She was raised by her gold-prospector grandparents who taught her how to “read” rocks and by her mother, who lived a distinctly Arizona-bohemian lifestyle. She remains an avid hiker, biker, boogie boarder and reader of rocks as well as books. Woodruff received an art scholarship to attend Arizona State University. She soon began exhibiting her work and left Arizona for Los Angeles and New York. Currently, she resides in Los Angeles with her husband, the novelist Bruce Bauman and their two dogs.